Precise Power - Why Choose Us? You will recieve only quality workmanship and products from us. Our electricians are fully qualified and all our products come with a 12 month warranty. We do not compromise on safety. All our electricians and up to date with the latest best practice methods for electrical installations and repair so you can be confident that your home and business are safe. You will always know when we will arrive. It is our priority to communicate with you the progress of your project. We offer tailored solutions to your budget. A range of product options can be provided to suit your budget. You won't have to waste time and money cleaning up. We guarantee to leave your home or business clean and free of electrical waste. 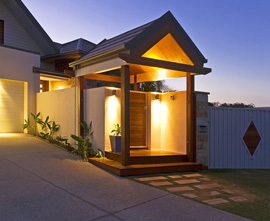 We can provide you with the lastest information on safety, lighting, home automation and other products. We are continually learning and training to ensure we keep up to date with the latest technologies. We are one source for all your electrical work. We can coordinate telecommunications wiring, ducted valet systems, intercoms, air conditioning and home automation for your project.